In 1984, photographer Andrew Holligan left New York’s fashion scene and decamped across the Atlantic. He needed somewhere cheap to live and work; the working class borough of Dalston provided both. As Holligan settled into his new neighbourhood, he was struck by the way Thatcherism impacted the mixed immigrant and native residents. Fascinated by the people and streetscape of Dalston, he decided to capture the area’s inhabitants and rundown buildings, its bustling street markets and parks. 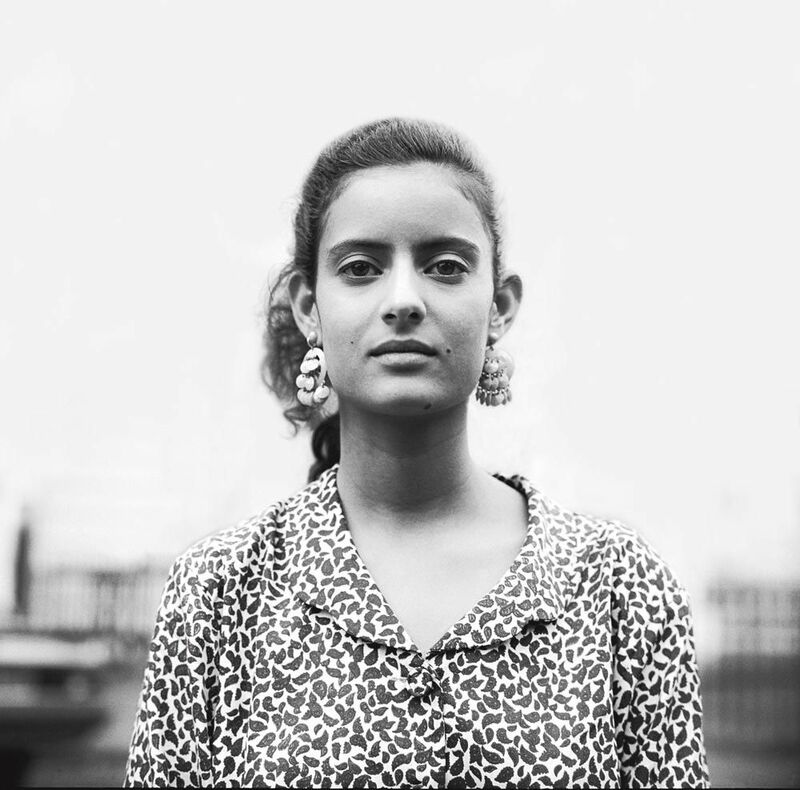 Using a 1950s Rolleiflex camera, Holligan photographed and lived in Dalston for two years. 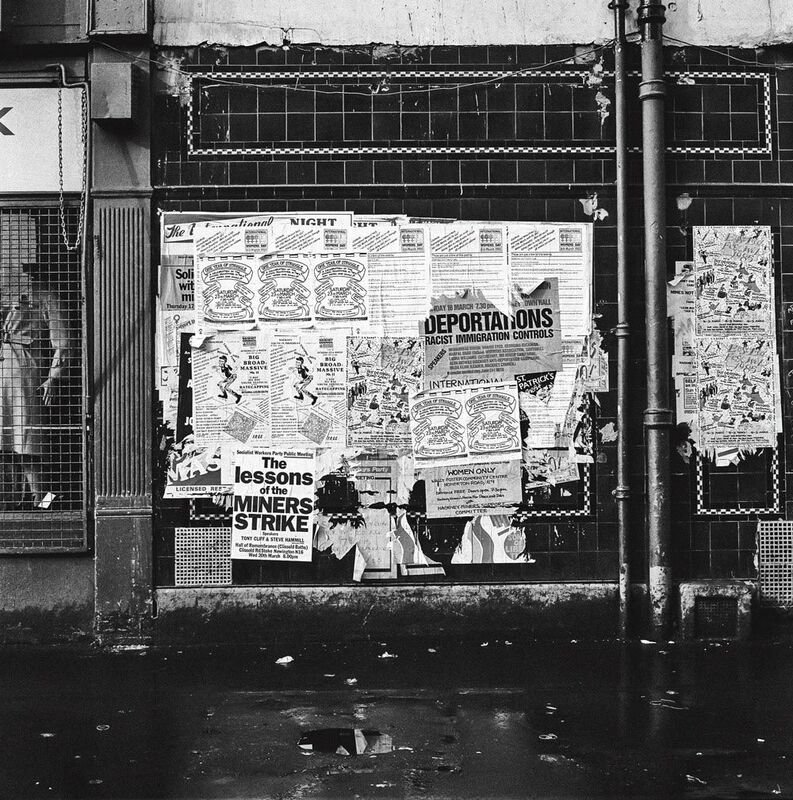 Holligan has dug up a collection of these images, alongside handwritten notes from the time, which he’s published in a new book, the fittingly titled Dalston in the 80s. 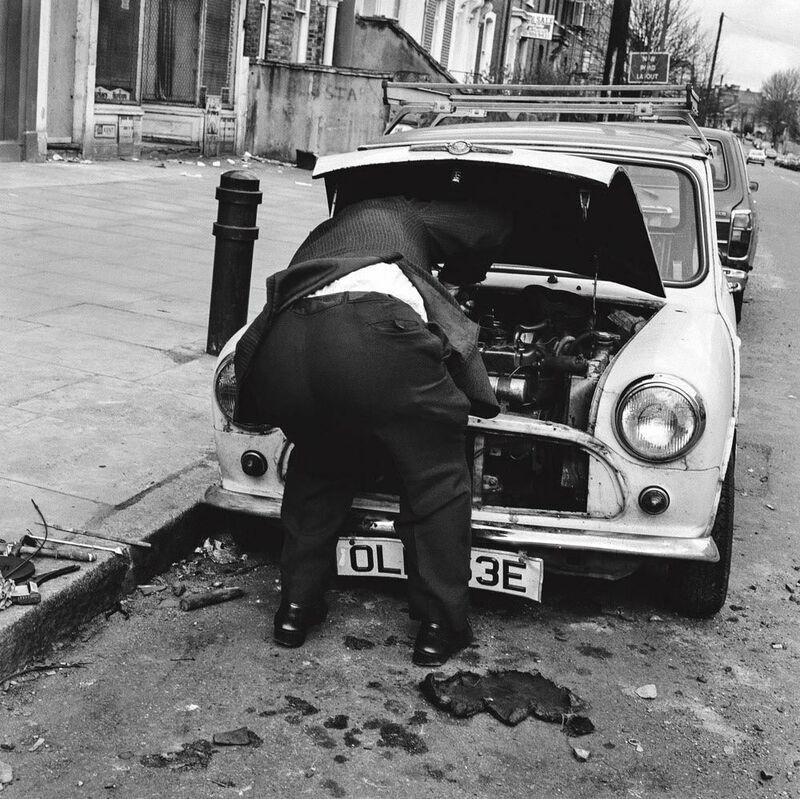 From images of sisters sitting outside their Victorian house to a man in a suit attempting to fix his car and graffiti condemning South African apartheid, the shots give a taste of the vibrant atmosphere of Dalston 30 years ago. He spoke to us about how the area’s changed since he left and what attracted him then. How did people respond to you photographing them back then? There was no technology, so people were a lot more aware of each other and a man with a camera such as myself was perhaps a curiosity. 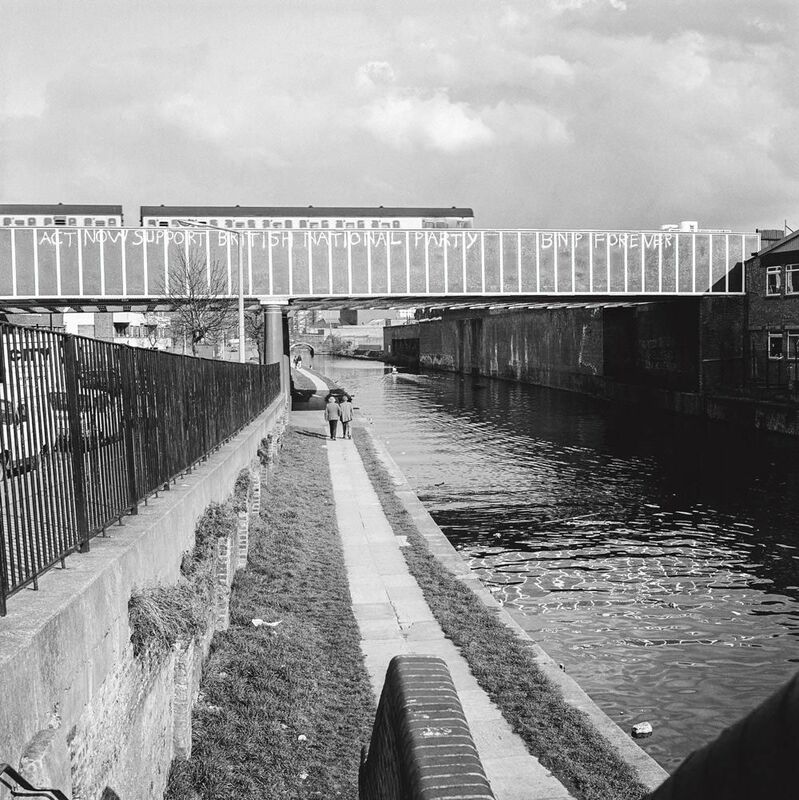 Dalston in the 80s was a poor multicultural inner urban area, like it is today, but then it had – like most of Hackney – a growing influx of artists looking for cheap spaces to live and work in. I was one of them. 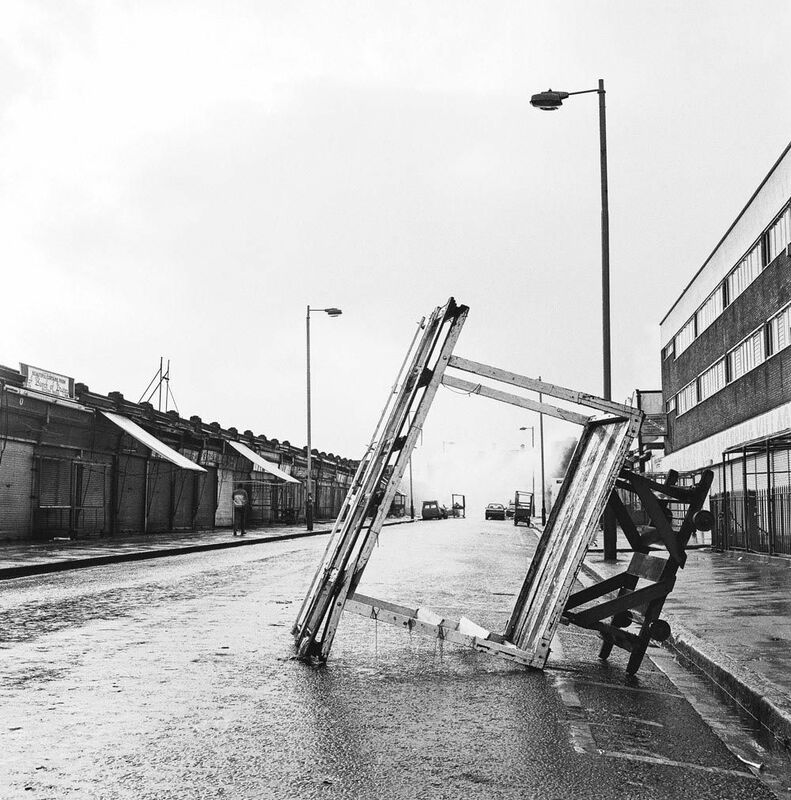 In many ways, it is much the same today but in the 80s no one seemed particularly interested in how and why Dalston was changing. Now the media seems to obsess over the ‘hipsters’ moving to Dalston and what effect they might be having on the place. Which photographers did you look to for inspiration? As a kid, I loved the photography I saw in the Sunday newspaper magazines. They had great photo-spreads – not seen these days so much. Don McCullin’s work was impressive. Later, Igot into the American street photography of the 50s and 60s, particularly Robert Frank. Then I came across the work of August Sander and Diane Arbus. Does one image stand out for you? 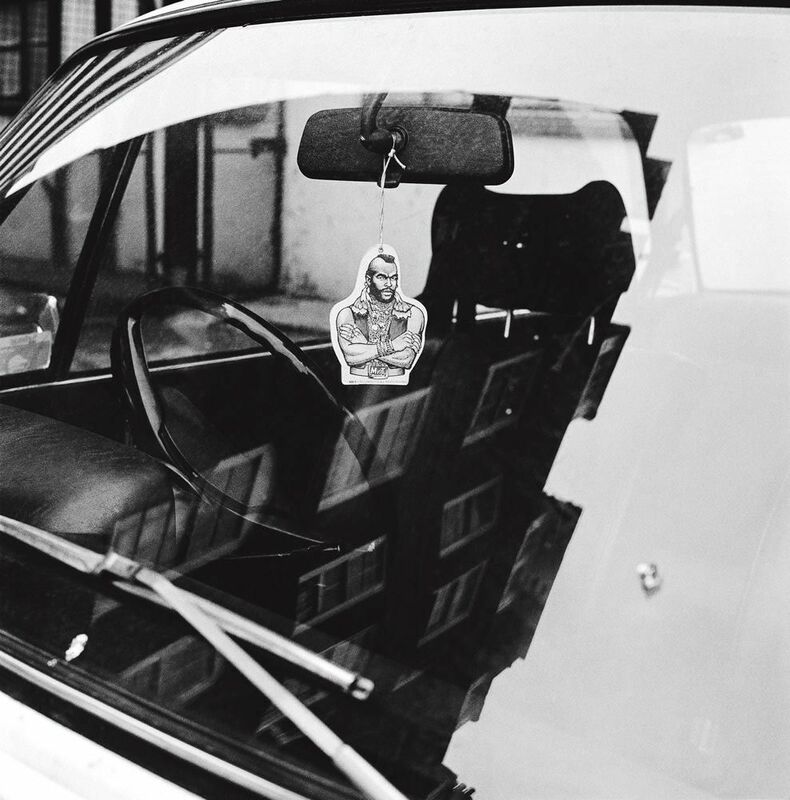 I think of Dalston in the 80s more of a personal journal than a book of dramatic photographs. I was looking for the everyday rather than the confrontational so I concentrated on my immediate neighbourhood and the routine activities of my life. Apart from people not wanting to be photographed, I cannot say there was one instance that stands out in my mind that moved me. How would you compare the streets of east London to New York at the time? I lived in Manhattan, so life on the streets were busy 24 hours a day. In the early 80s there were parts – particularly the Lower East Side – that were rundown and supposedly dangerous. But these areas were places to hang out – lots of cool bars and clubs. East London streets seemed very quiet in comparison – not a lot going on but the pace of life seemed more congenial and I never felt there was any danger on the streets.